Timetable-Attendance-Leaves | Synconics Technologies Pvt. Ltd. Tap check-in when you reach office. The app automatically picks up the time. Tap check-out when you leave office. The system automatically picks up time. 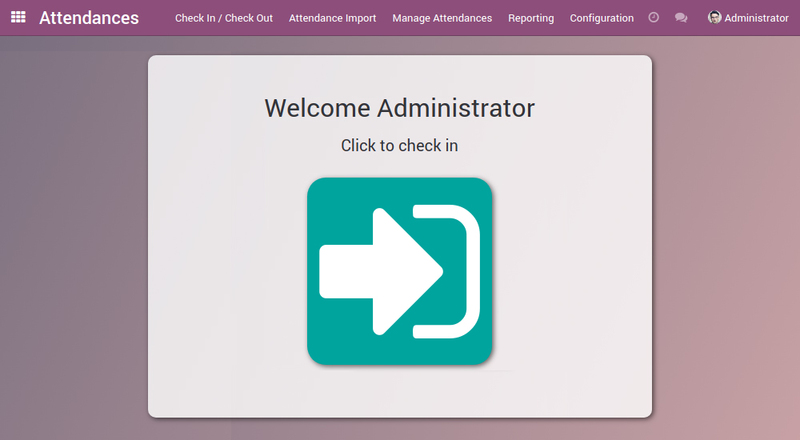 Staff will also have access to history of their own attendances through a user portal. ERP simplifies workforce management by configuring workflows, processes and work rules in a single organization driven application. Be Proactive: For professionals who like to plan their activities at the beginning of the day: Use the Day Planner to allocate your time in advance to the day's tasks. Every minute counts: For professionals who need to track their work in detail: Launch the timer from your desktop in a single click. Just choose your task and switch it on. Focus on what matters: For professionals who bill per hour or day: Just focus on your work and record your activities at the end of your day. Keep your projects under control and manage employee time from the ERP backend. Track your team's progress: Visualize your team's progress on each project or task. 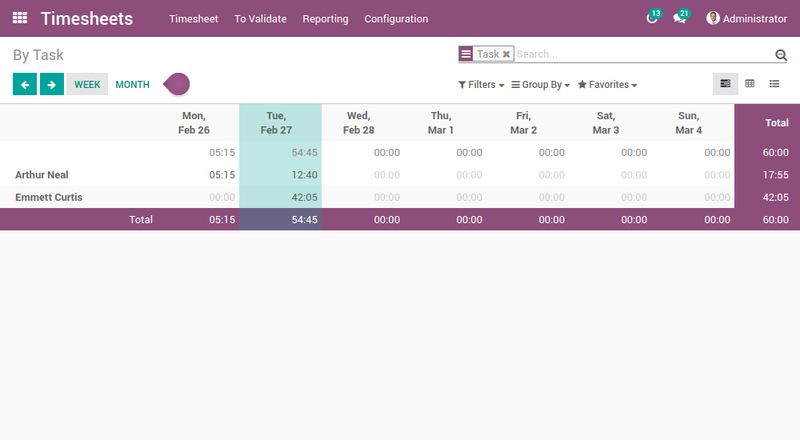 Tracking expected hours, effective hours and reforecasts on tasks has never been so easy. Keep your projects profitable: Get an overview of your billable time. Track all the resources allocated to your project and see your profits and losses. 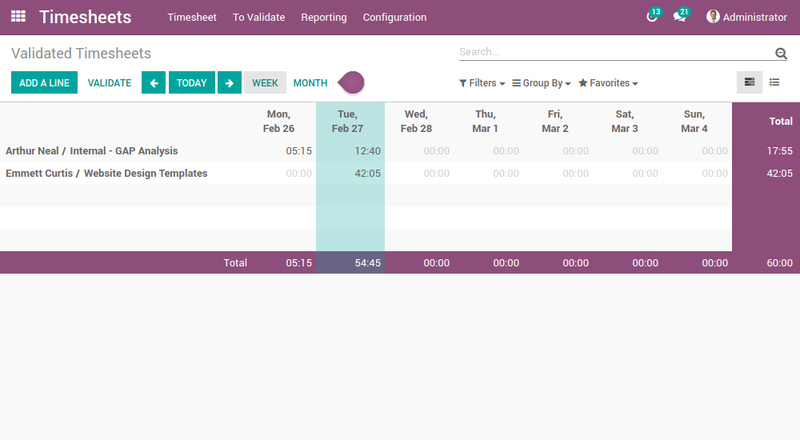 Invoice timesheets to clients: Automatically generate one-time or recurring invoices based on expenses and timesheet entries. Forecast needs & resources: Schedule your teams across projects taking employees' holidays into account. Plan ahead for upcoming projects with forecasts based on comparable projects and estimate deadlines more accurately. Compare forecasts with real timesheets for increased profitability. Keep track of the vacation days taken by each employee. Employees enter their requests and managers approve and validate them, all in just a few clicks. The agenda of each employee is updated accordingly. Managers get a view of their whole team leaves in one complete view, to keep the team well-organized and to easily forecast the distribution of tasks during the absence of their members. Allow employees to record their requests for vacation themselves and get notified by email for every new request. Decide to either approve them or to refuse them and add a note to your refusal to give an explanation to your employees. 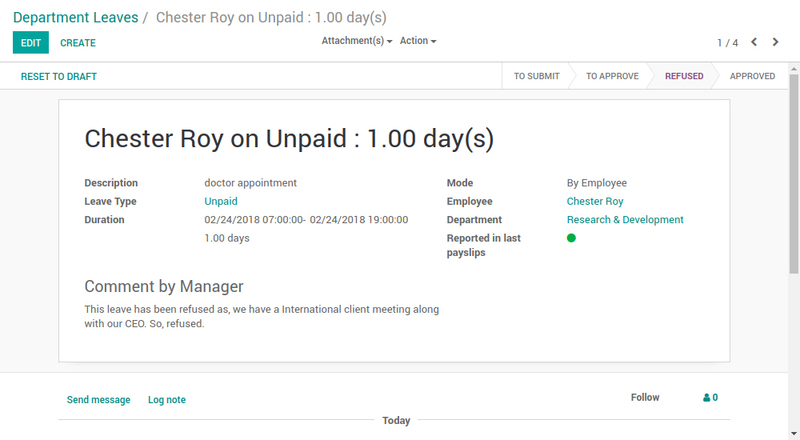 Create reports in a single click for every leave request, with a detail per request type, employee, department and even for the whole company. Get statistics on the leaves and plan for the upcoming to make sure you keep productivity to its highest level.